Beloved mother, sister, and grandmother, Terry passed away Saturday October 20th in Bradenton, Florida at the age of 58. She was an Army and National Guard veteran. Terry will be remembered for her caring spirit, joyous laugh and unending love for her family. Terry is survived by daughters, Loretta, Brittany (Randy), Angela, grandchildren Michael and Marjela, brother Anthony, nephew Anthony, and niece Maria. Memorial Services will be held on Friday November 2, 2018 at Filbrandt Funeral Home in South Haven, Michigan at 1:00 P.M. 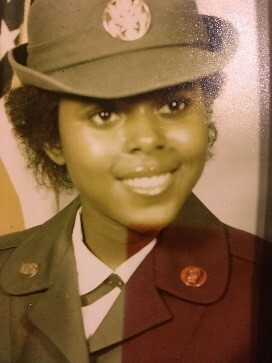 In lieu of flowers, contributions may be made in Terry’s memory to A Black Rose Campaign at ablackrose.org.